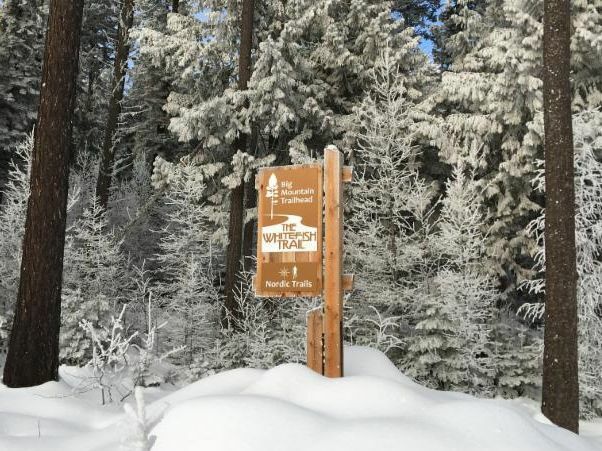 The lack of consistent, big valley snows has made recreating on the Whitefish Trail a bit easier this winter. 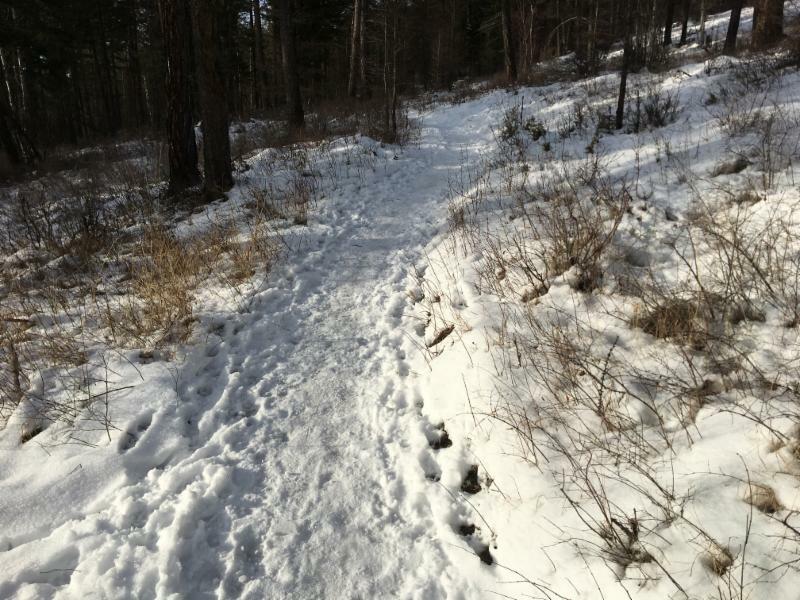 The trails close-in to the trailheads are hard-packed and icy but snowshoeing, hiking, and even trail running with micro-spikes can be enjoyed along most of the Trail, even those harder to reach places like South Spencer and Smith Lake. The 4-mile South Beaver Loop remains hard-packed, and we have even received reports of fat-bikers still riding the new Haskill Trail! The tread remains 100% covered with snow and ice, so traction devices are strongly recommended. If the recent grey skies have you down, there’s nothing like getting outside to kick start blood flow and awaken the senses. During a recent outing in Haskill, a Pileated woodpecker swooped through the air and landed on a larch snag only to tear away the bark in search of a snack. Snowshoe hair and whitetail deer tracks crisscrossed the landscape and reminded me that the winter landscape still bustles with activity. 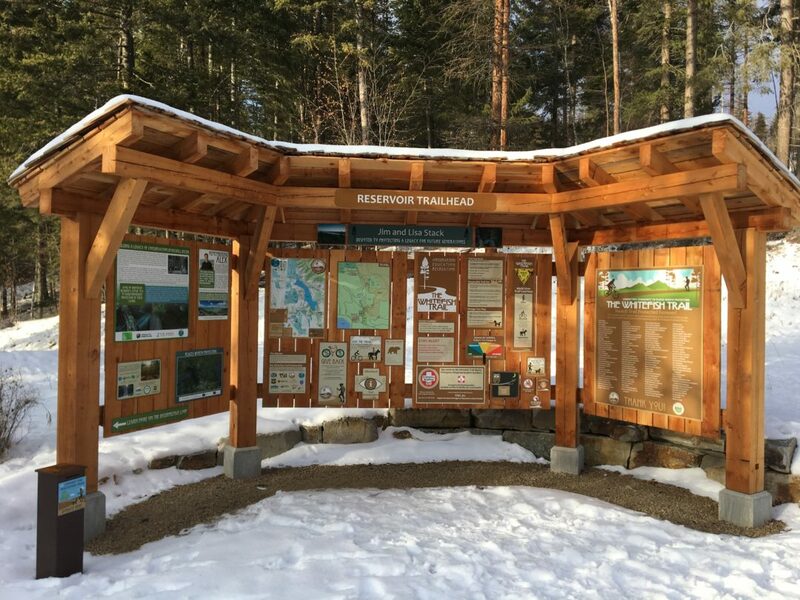 The 2018 trail counter numbers are in, and as expected, the Whitefish Trail continues serving the growing recreation needs of our community. Lion Mountain increased from 43,615 visits in 2017 to 47,829 visits in 2018! In its inaugural year, the new Haskill Trail experienced a total of 27,834 visits tallied from the Big Mountain and Reservoir Trailheads combined! The infrared trail counters are invaluable for our long-term planning and grant writing. The usage numbers also reinforce the value that the Whitefish Trail brings to our community. 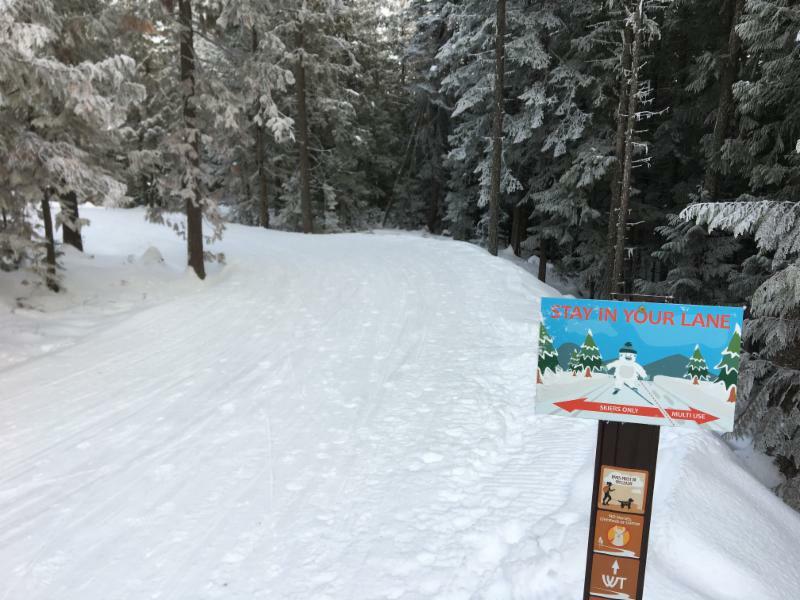 We would like to thank everyone for picking up dog waste and being great stewards of the groomed Nordic trails in Haskill!